I hear the wind call your name. It calls me back home again. It sparks up the fire – a flame that still burns. Oh it’s to you I’ll always return. As I was watching “Spirit, Stallion of the Cimarron” on a lazy Saturday afternoon in July with my daughter, this song came on!!! Man, it shook my world a little bit …ok…a lot!!! I realized how much I miss David!!! I can relate almost everything to him!!! I’m nuts!! I know! haha. He’s only been gone a few months, but somehow he’s just like a close family/friend to me and I believe to many of us as well. “Spirit” the stallion has similar characteristic as David, though not exactly the same. As the song progresses, the lyrics are really in sync with our situation, both on David’s part and ours. I’m pretty sure that while he’s so super busy with his mission, a part of him misses our excitement-smile-scream-fan-boying and girling on our parts while he’s performing on his stage !! It’s so evident how we all miss him and want the clock to run faster. 🙂 Our love and thoughts are all over the fansites and YouTube. The guy has captured our hearts and we have captured his. To wait for him and support him are just about normal and natural things for us to do. He’s generously invited us into his life, so we’ll definitely be here as long as he needs us. That’s what friends are for, right !? The support and yearning words from the fans, David’s love and trust in us, and a wishful thinking on my part inspired me to make this vid for both David and us. Hope you like it. I encourage you all to watch this fantastic animation “Spirit Stallion of the Cimarron.” It’s fun and inspiring and the songs by Bryan Adams are outstanding!!! 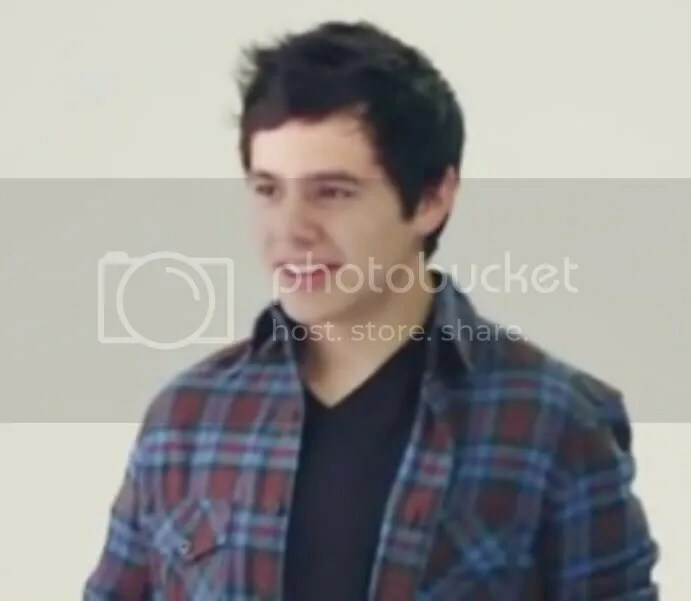 This entry was posted on Tuesday, September 11, 2012 at 11:05 PM	and is filed under Appreciation, Archies, David Archuleta, fan video. Tagged: Bryan Adams, David Archuleta, He'll be back., We'll Be Here. You can follow any responses to this entry through the RSS 2.0 feed. You can leave a response, or trackback from your own site. Pocoelsy, thanks for the video! It’s a wonderful tribute for David. Made me cry. GOSH! I miss David! Pocoelsy, beautiful words and beautiful video, thank you. Pocoelsy, my favorite part is “the guy has captured our hearts and we have captured his”! I think this totally sums it all up.♥ Love the video. wow. Sb from a few posts back…”start up a new piggy bank”! That I will…at least to save for that 2014 concert! I hope not to miss that no matter what! What a wonderful reminder for us!! YES David will be back and we will be here waiting for him. I know I will. Very nice video and your words are so meaningful. Thank you so much. Pocoelsy, I have one request…please keep producing your awesome videos! This one is beautiful, and I can see why that song got your attention! I love the plain and simple truth of these four sentences. First thing first I have to say thank you to Abrra, Angelica, djafan, for always given me a chance to exress here at The Voice. Sky #6 My inspiration comes from David and you all, as long as there’s “us” I don’t see myself stop making vid for David and us fan anytime soon, I need to express myself otherwise I’ll burst hahav and this is a way for me since I’m not good with words (not that I’m soo good with making vid either, still a lot of room for improvement!!) …hehe… but new materials are hard to come by these days !! Pocoesly: Love your words and your video. Though it sure did make me sad, I think your video is one of the best I have ever watched that captures who David is; the kindness, the calm, the sincerity, the energy, the joy. Thanks so much for sharing it. Your video gives me the same warm feeling I get from the flame we set up on the right sidebar, that burns for David until his return. It makes me feel inspired, hopeful, peaceful and happy. Bryan Adams (“Heaven”) is one of David’s musical influences so the song makes an even deeper connection. Don’t underestimate your skills, Poco. You chose a very appropriate song and matched it with footage that tells the story of the song. And you did an excellent job. By the way, where did the footage of David running come from? Please keep making videos! And please continue to share with us here at The Voice. Pocoelsy, I teared up when I first watched your video. The song, the clips you chose so appropriate in reminding us David’s promise of return. Thank you. Please let me know if you plan to go to The Sounds Of David event next year. Pocoelsy…..Thank you for this beautiful video tribute to David. It is absolutely perfect in every way…..both the song and the video footage of David. It is one of the most moving and heartwarming tributes that I’ve seen. I enjoyed the beautiful words that you wrote, too. I can really identify with your comment……. “I can relate almost everything to him!!! I’m nuts!! I know!” This happens to me numerous times each day! Also, I often find myself offering “David advice” to friends when they are having difficulties. He is such a wonderful inspiration and example to us all. That fellow makes me smile even when he is saying “goodbye”. Thank you for the video, Poco. It brought me tears, but tears of joy knowing how fulfilled David must feel in accomplishing this mission. Special thanks for including the many affirmations that he is coming back to us. And thanks for the pics of David running on stage, always loved to see that. And the pic of him reaching out to his fans. And most of all thanks for the muscle Tshirt. Could have enjoyed a longer view of that. That’s why we have replay, right? Happy late birthday Jan!! You sneak, not telling us until it was over. I enjoyed your video, Pocoelsy! I am so proud of you for stepping up and sharing it with us here. You did a nice job and told your story with the song. What I appreciate most is that we have the opportunity to showcase another talented fan of David Archuleta here at The Voice. I had suggested that you submit your video with a back story and it is amazingly touching. We have a talented group of fans who are generous with their videos,poems, and heartfelt articles. Thank you Pocoelsy and all the writers and commenters who participate to make this place a genuinely entertaining fan site. OK how about some scream caps? Where was David? These aren’t too hard to guess are they? Thank you all for the birthday wishes! I have to say David singing Happy Birthday to me(I can pretend)was awesome!! Looks like he is backstage somewhere. Combout cape amd camera are good clues. 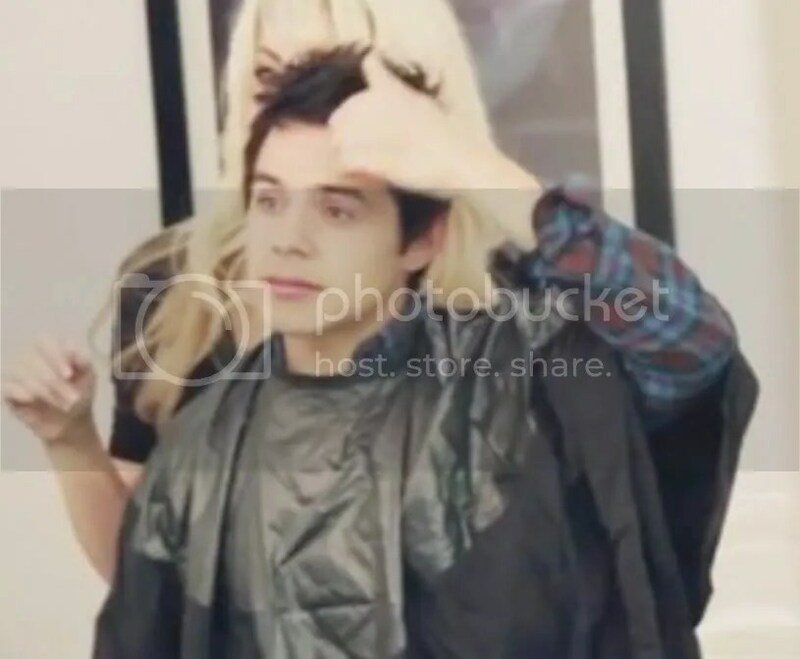 Getting ready for a photoshoot? I’m probably all wrong…. 19. I want the Blonde’s job. Thank you so much for always encouraging me to do things I’ve never done before or/and sometimes not confident enough about my abilities and too scare to take the plunge!! when the next inpirations hit me again, I sure will share my project with you all here. Jan, sorry I’m late, happy birthday to you, and you got David sings B’day song to you eh hehe!! Spirit #22 I was thinking the same, anyway is that right ? DING! DING! DING! Spirit is correct! 🙂 Its from a BTS of the LDS Magazine photo shoot. Poco, please keep making videos. You have a gift in choosing the right images at the right time. Apple launched the new iPhone 5 yesterday. Look who was up on the huge screen at the presentation? It may seem like small exposure, but this event is a worldwide extravaganza. It’s by invitation only to the 500 (?) or so bloggers from a range of internet interests. I’d like to think that seeing David’s face up there may have made a light go off in someone’s head and they will mention him in their blog. Apparently David Archuletta has a new album out. That’s what Apple taught me today. 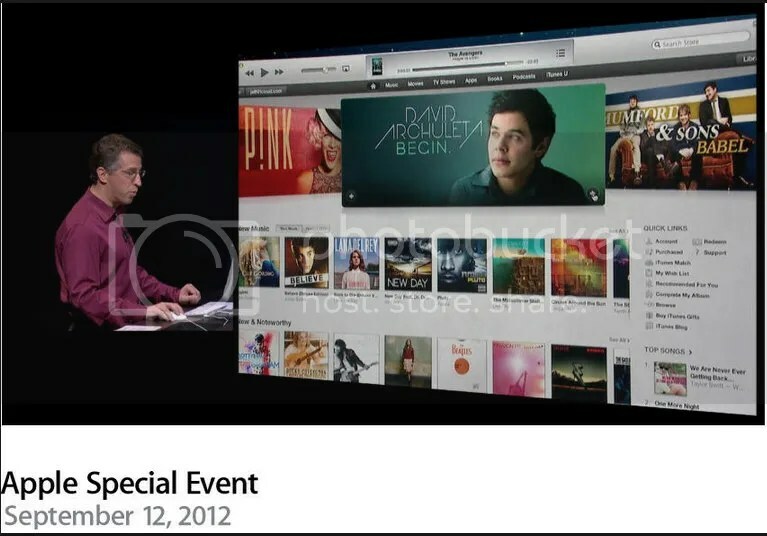 Apparently two of my covers snuck their way into the itunes powerpoint today. I’m 89% sure I’m the reason people are buying iPads. I love your video and every word you said. It’s amazing how few degrees of separation we can find between David and everything else in the world. lol. Awesome promo from the world premier of the new apple iphone! David’s BEGIN. right next to Pink and Taylor Swift and above JB! How sweet is that? Abrra, betsy, Dja thanks for the news, vid and tweets, this is big and genius it must be in the news all over the world 🙂 they have it on Bangkok Post one of the most popular Eng. newspaper in Thailand not to mention local newspaper too :)… genius !!! Thank you for sharing your lovely video and the song that inspired it. Keep it up! I love coming here (although I haven’t been able to come as much as usual and may not be able to for a while, yet), and seeing the love, friendship and support everyone shares. Thanks so very much. You ‘make my day’. Favorite comment – omg!﻿ forever like! Thanks for that video. I had forgot about this song. I always loved his performance of that medley. David singing “you’re so hot that I melted” LOL It’s been quite a while since he’s sung anything like that. OHH I wish we had these in our CD case! David Archuleta “BEGIN.” In Taiwan Comes With Postcards Gift! 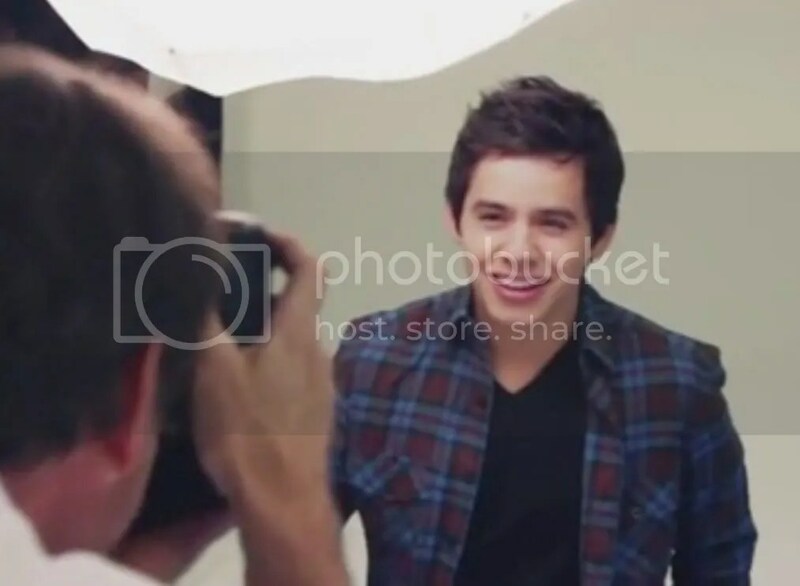 Well Sony Music Group starting distributing David Archuleta‘s new album BEGIN. with their own packaging through out Asia now, Malaysia, Singapore, Philippines(through Ivory Music) and Taiwan too. Sony Music Taiwan is brilliant with the advertisement for the album BEGIN. up on their Facebook Page with the cover page photo as per above picture! What is I believe a very great marketing strategy promoting the album is the gift that comes with the album, a set of handsome postcards bundled with it! And what I love the most this page is a solid first class promo complete with showcasing beside the tracks listing, the postcard gift, audio samples of the tracks embed in the page and there, the “Everybody Hurts” Music Video of the single embedded too that make it a really smart advertising page here! Walla!! Applause! Now that’s the way to advertise our David. ♥ And I agree. I wish our CDs would have included those postcards! Yes Djafan, one of the biggest compliments anyone could have and it comes from his home country and from such a huge company as Apple. I never doubted how much he is appreciated and admired in North America so maybe we all know now. That is wonderful promotion for BEGIN as it reaches well beyond any record shop. Way to go David!! Thanks Apple!! That third postcard from the left. The smiley one. I think I need help! Well, now that it’s out of my system, I have to say how proud I am at this kind of promotion for David. That he’s out of the country and is still being recognized this way says a lot! And it’s about time! This is huge because it’s a world premier of a very popular cell phone! WTG! Poco#27 Ahhh So that’s where the running clip came from! Thank you! Bebe is talking in code again. Can’t blame her. Gotta get me those postcards. Thanks to Betsy for the Mraz cover video. MT, that line “so hot that I meltid” is the one that grabbed my attention. And the “yoooooouuuuuuurs” at the end is absolutely delicious. I’m leaving tomorrow for a little road trip. Excited to spend 1,000 miles in my car with just David and me. Hope to be at my son’s home on Saturday so that I can catch the Unplugged chat night. The best part will be when I get home and have a bunch of circles to remove from my David mission paper chain. That first postcard with that closed-mouth crooked smile. Dayzee…you will be in goid company on your big road trip! It takes me one full listen of BEGIN to drive to my daughter’s house. It seems such a short drive that way! I forgot about your chain of days for David! Does it seem much shorter? Have a great road trip. Great promotion day for David!! OK…where did my butterfly take off to?? SB, I too measure my miles in David time. I used to work 3 songs from home, but when we moved to a new building I got lucky and now listen to 7 songs each way. Matt Clayton blogged about David’s photoshoot with Jake Chessum. 36 Betsy,what is it about him singing that song!? “I fell right through the glaass,♪ now I’m tryin to get baa-ack!”♫♫ and I love the beginning >”hey ey ey ey ey eh ey ♥ gah. Hi SB! yes! great promotion day for David! Boy,love those postcards Abrra! eeek! oooooh I miss him sooooo much! thanks to Janey for these finds. The note @4:15 or so is brilliant . I hold my breath till he’s done. Dayzee, Be careful on your trip! If I lived closer, I’d go with you. Love road trips!♥ Are you going to Vegas to see your son? If so, and it was a month later, I’d meet up with you. I’m going Oct. 20-26. David will be great company for you..have fun! I work 2 1/2 songs from work. Always have to finish the 3rd song before I go in! Loved the Matt Clayton blogs! Thanks! I’m in agreement with you about that awesome performance from York! “My Hands” is a favorite of mine off David’s first CD but I’m afraid that I have to raise you one because the next video is one of my all-time favorites. Falling Stars. Wichita. Pink Ribbon Performance. Clear Channel 963. David Archuleta. Rockstar. Can't stay away from this. Like a magnet it keeps pulling me back. Extraordinary performance. This song has﻿ WINNER writtern all over it! Kudos to David and Eman! I'm not sure I'd survive hearing this song﻿ live! omg it's beautiful as sung by David. What vocals, what passion. yep david you are so beautiful to me. #50 Betsy, the second link on Matt C. blog!!! doesn’t look exactly like David !!! Idunno!!! look similar but not really David!! I never realize that David has a noticeable “adam’s apple” like that…lol , haha i must be tired today!! #53, Bebe, yes David was a rawk stah there, on fiyahh throughout the whole concert !! Poco, that second link? It says under the photos “April Fools”. It’s not really him. #55 Betsy , haha betsy .,!!! red face here I didn’t read it, haha ok at least I know for the fact that it’s not him lol. the top comment on this is !!! but how true!! Thanks Betsy, #36, I needed that! You want to “hear” Apple guy say the new and hot??? Thank you JR!!! You are incredible. This post is so full of awesomeage!!! from Pocoelsy’s video to the scream caps, comments and youtube links. I spent a lot of time going from one video to the next. #53 Bebe Did you really have to post that video? I think I just added 100 views to it. Then I added another hundred to Pocoelsy’s link at #57!! And I agree with that top comment. Mr Confidence is a killer! Where is that “wanted” poster? We need to nab him somehow!!! #61 Abrra I just came back from youtube thinking I would check here just once more before going to bed. Now I’ll have to click on Mr Confidence and stay up all night!!! KKKiiiiiiiiiiilllllllleeeeeeerrrrrrrr!!!!!! Wow, looks like you guys found them all!! And whenever I see Pink Ribbon Performance I know Abrra’s Mr. Confidence isn’t far behind. What can I say about his performances that night. Hmmm … perfection is the word that comes to mind. PS I wonder if Kari has ever see the Mr. Confidence video? Bebe, I was there! I love the videos, they are my favorites. The camera from this side of the stage captured David at his best!♥ That “Mr. Confidence” is just awesome!! Way way way off topic here. I love nails and I collect nail pics as digital autographs from people I like. Bit of fun. If it is not for you just reply and I will not bother you again. I read a few of her tweet requests for “nails” and OMGosh! Its just crazy what people find to be obsessed over. You trying to kill us off today Bebe, and Abrra? gaaaaahhh! Well, I just I forgot what I was gonna say…. Mr. Confidence made my brain freeze!. 67. Abrra, yeah, those crazy nail tweet people! I wouldn’t ever think about tweeting David to show me the parts of him I am obsessed about.hahaha. May head over to tvu for a bit. #62 Fenfan, lesson learned!!! when you decided to go to bed…do not …I repeat…do not attempt to click refresh!! !your innocent action may cause (hundred and ten percent!!) havoc in your brain system/function you’d be tossing and turning for at least good 3 hours…these gals at the Voice are fierce and dangerous!! !